Will That Cross-Cultural Coach Really Help Your Team? It’s not uncommon for global businesses to face increasingly complex cross-cultural challenges. How do make an international merger a success? How can you help teams spanning countries and continents better collaborate? To deal with these issues, many companies are turning to coaches who specialize in helping diverse teams deal with cultural tripwires. Seems like a smart solution, right? Yes, cross-cultural coaches can help (assuming you’ve picked a capable one). 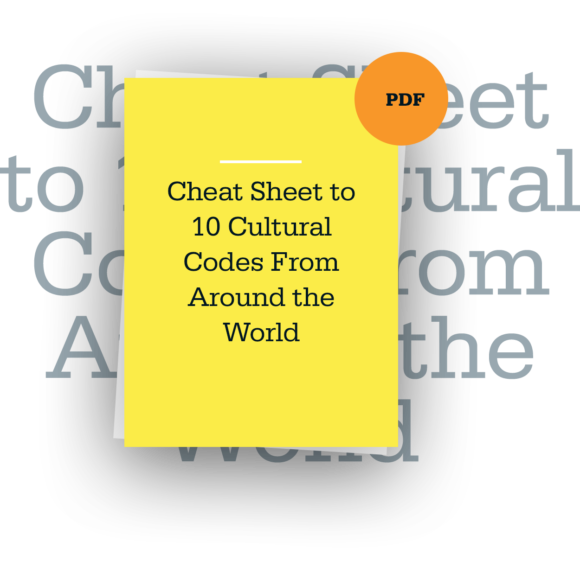 But you need to keep in mind that the coaching relationship is not culturally neutral and it’s prone to the same cultural issues that you’re trying to address in the business. In fact, the coaching-client relationship can be equally wrought with cultural tripwires. First, consider the coach-client dynamic. You might assume that the coach is a knowledgeable and approachable mentor who offers tidbits of wisdom as he or she guides you. That may be the case in the U.S., and perhaps in other Western cultures, but in East Asian cultures, the relationship is often far more hierarchical and less interactive. Coaches distribute knowledge. They don’t necessarily engage in a “dialogue” or a “partnership” as is common in the U.S. In fact, if an American coach told an Asian client that she really wants to “learn” from the client, the client might doubt her experience rather than interpret the gesture as an invitation to share perspectives and engage in mutual learning. Second, take a look at how feedback is given in a coaching context. In some cultures — like the U.S. — it’s perfectly acceptable to provide critical or challenging feedback to a coach. But in Korea, or China, or Japan or other East Asian cultures, that would be considered highly inappropriate. The same goes with coaches providing critical or corrective feedback to their clients. In the U.S., it’s quite typical and, in fact, it’s often a critical part of the process, as long as it’s provided In constructive manner. In cultures like Germany, where one of us (Christian) is from, the critical feedback is even more direct and doesn’t need to be “softened” at all. In contrast, if you’re coaching a client from Korea or another culture where direct feedback can cause a loss of face, it can be much trickier to get the message across without inadvertently — and potentially irreparably — damaging the relationship. In our collective 20+ years of coaching and training people to adapt and adjust behavior across cultures, we’ve seen lots of cases where these cultural misperceptions and miscommunications played out in goal-setting, information sharing, listening, and even the payment process. So how can organizations and coaches make sure that the coaching doesn’t fall prey to these difficulties? First, the coaches themselves need to attuned to the fact that the very cultural differences they’re helping their clients with can also interfere with the coaching process. Too often coaches are so focused on the “external” — on what the client might be struggling with in his or her work environment —that the dynamics within the coaching relationship gets overlooked. Second, use the coaching process as an arena for noticing and working with cultural differences. If a client struggles with authority, see how that plays out in the relationship. If the problem is making small talk, use the session as an opportunity to do that as well. The point is that the coaching session itself can and should be an opportunity to both point out cultural differences and to practice developing global dexterity. Third, make sure that the coaching process itself is understood as valid and legitimate. For some, especially those from Western cultures, there are obvious benefits to the idea of personal skill building. But that’s not necessarily the case for others who may feel that it’s inappropriate or self-indulgent to focus so directly on enhancing one’s own personal welfare. One tactic a colleague of ours who coaches Koreans uses is to reinterpret the coaching goal through a more collectivistic lens. Instead of framing coaching as an individualistic process of self-improvement, it can be seen as a tool for building relationships and community, which, for some, is a far more palatable goal. Cross-cultural coaching can bring great benefits to your organization but you need to select the right person for the job — an expert who can help clients with their challenges on the job, and also leverage key opportunities within the coaching relationship itself to achieve this objective. This article originally appeared at Harvard Business Review. Sarah Cliffe about the difficulties—and pleasures—of cross-cultural learning. A version of this article appeared in the October 2015 issue (pp.82–85) of Harvard Business Review, and the interview also appears here online. Ending a small talk conversation can be tricky business. You have other things to do – you need to go back to your desk or have another call to make. Michael has been in Frankfurt for about a week and is really missing his home office in Chicago.